Le mariage représente souvent un rêve de petite fille et la demande, genou à terre et bague à la main, fait partie du conte de fée. En attendant que notre amoureux se décide à sauter le pas, on s’extasie devant les magnifiques photos des autres. 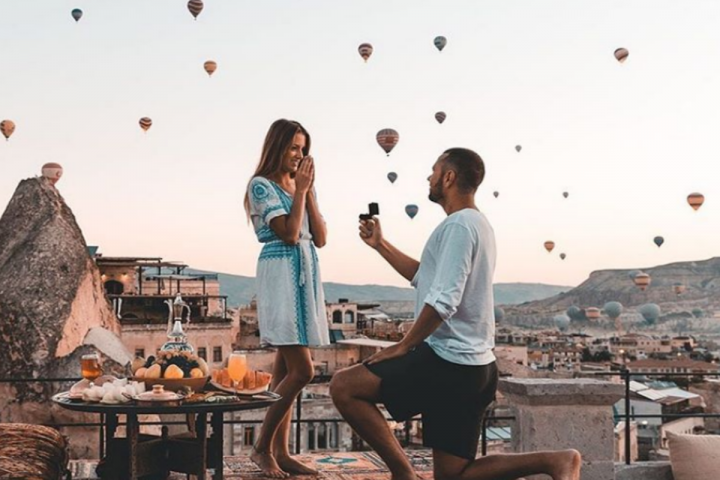 Le compte Instagram « How They Asked » regroupe les plus beaux clichés de demandes en mariage, partout dans le monde, accompagnés à chaque fois du récit de ce moment magique. À Disney, après un saut en parachute, dans une forêt ou une sur une barque: à chacun son histoire. Le bonheur est contagieux, on ne sait pas s’empêcher d’afficher un sourire béat devant tous ces couples trop mignons. 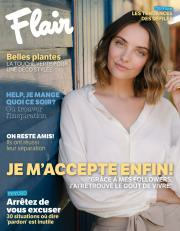 On a sélectionné pour vous nos publications préférées. "To end two and a half years of long distance, Mitch surprised me with a trip to Homme House in the countryside. With its two-acre walled garden, it was breathtakingly beautiful and truly felt like a castle from a fairytale. Shortly after we got there, Mitch told me he'd planned a picnic for us that evening. We headed into the woods and half way through our walk, Mitch told me he wanted to cover my eyes so I couldn't see what was to come. He led me along the way and then finally uncovered my eyes to reveal a beautiful clearing underneath a tree that he'd covered in fairy lights, candles, and photos of us. There was a picnic full of all our favourite food and an even more incredible view than before. I was so surprised and moved by his thoughtfulness and effort, and before I knew it he was asking me to marry him…" Photo by @graceelizabethphotofilm 💍Watch the video via the link in our profile! "Zac jumped first, then me, so he was on the ground a bit before I was. When I was still a telephone pole above the landing area, I saw him looking up at me with a huge smile on his face, a ring in one hand and roses in the other. I screamed "Oh my gosh!" I was instantly crying. When I landed, I tried to run to him but I was still hooked to my instructor so the harness pulled me back! They unhooked me and I finally ran over to him, kissing and hugging him…." 📷 by @dukemoose, lucky girl: @kaestlecastle ❤️ link in profile to watch the vid! "Ryan told me he made reservations for us at a super nice restaurant for lunch, so we got dressed up, hopped in the car, and headed out the door. As we were driving, Ryan pulled off the road and told me there was a lookout he wanted to take me to. He led me down a path through the trees until we reached #EchoLake. Sitting there waiting for us was the sweetest canoe with a picnic basket inside. I knew in that moment what was going on and I couldn’t stop smiling as he helped me into the canoe and we floated out into the middle of the lake…" 📷 by @canadian_wedding_photography ❤️ link in profile for the rest! 😱 DEFINITELY didn't see this coming 🔥 "I was SO confused, I thought our house was burning down but here he was asking me to marry him on the front lawn?! 😭 It was a wave of emotions that I had never felt before. It went from the worst day to the BEST day of my life in a matter of seconds." ‼️ ➡️ Click the link in the bio, you're going to need to read the wholeeeee story.